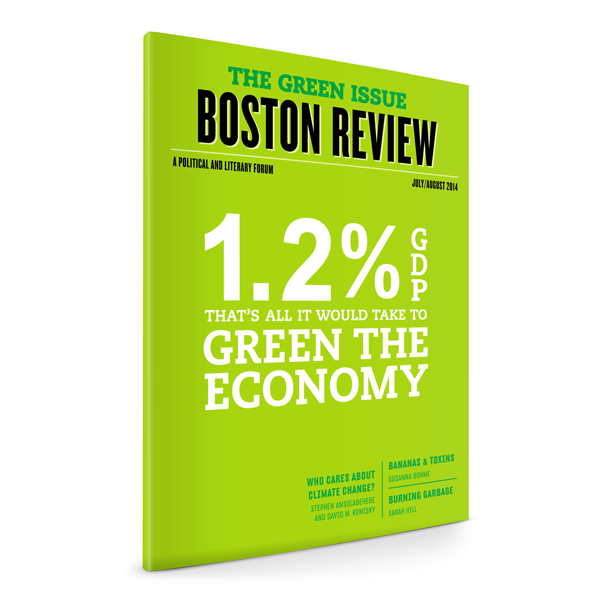 Robert Pollin leads a forum on just what it would take to green the U.S. economy. Dave Byrne writes on the making of an American folk song and the history of sugar cane. Plus, Stephen Phelan on architect Shigeru Ban, Mike Konczal on Thomas Piketty and his critics, Jonathan Kirshner on the neoliberal bailout, a new book by Rick Perlstein, and the winner of the 2014 Aura Estrada fiction contest.